One of the most important players and writers in chess history, Aaron Nimzowitsch’s works influenced countless other players both in his time and down to our day as well. His book “My System” went against modern convention and theory at the time by outlining a hypermodern style of play. The originator of the saying “The threat is stronger than the execution”, Nimzowitsch backed up all of his theories by using them to become one of the absolute best players in his time. Aaron Nimzowitsch learned to play chess from his father in early in his life. In 1904 when he travelled to Berlin for his educational studies, he instead changed his mind and started his career as a professional chess player. In 1922, he moved to Copenhagen and around that time he catapulted himself into the list of world’s elite players. Never known as a strong match player, Nimzowitsch’s strength lied in tournaments where he scored many impressive wins. This list includes first-place finishes at some of the strongest tournaments throughout the years 1923-1929. Despite never becoming the world champion, Nimzowitsch left one of the longest lasting and most influential legacies in chess. His writings and hypermodern theories continue to permeate the style and openings of players down to our day. Without him, chess may be played a lot differently today. 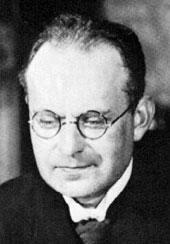 Nimzowitsch passed away on March 16, 1935.